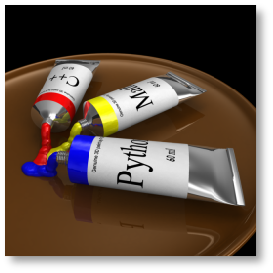 PyCloid is an enhanced particle system plugin for DAZ3D Cararra CGI software. This plugin is based on Particle System API by David K. McAllister. Thanks to my friend Danas-Anis for the PyCloid logo and his great support for this project. PyCloid is a copyrighted freeware developed by Frederic RIBLE. You can use it freely. The distribution of the software from other medium than this website is prohibited. See LICENSE.txt file coming with the package. If you like PyCloid, you can make a donation to support the development of new features.